Formulary information provided by Fingertip Formulary® and is current as of . Because formularies do change and many health plans offer more than one formulary, please check with the health plan directly to confirm coverage for individual patients. Exclusive = is on formulary while other direct-acting antivirals (DAAs) are not, has a lower tier status than other DAAs, or is required in a step therapy process vs other DAAs. Preferred = shares the lowest tier status with at least one direct-acting antiviral. Non-Preferred = another direct-acting antiviral has a lower tier status or is required in a step therapy process. Click here for patient support services, which may assist in identifying coverage options for your patients. Not Covered = the product is not on the preferred drug list for the health plan. The references to company/plan names listed do not, in any manner, imply an endorsement of EPCLUSA or any other products by the referenced companies/plans. Placement on the formulary is not intended to imply any claims regarding safety or efficacy of the products referenced. A co-pay coupon may help eligible patients reduce out-of-pocket costs of Gilead treatment. 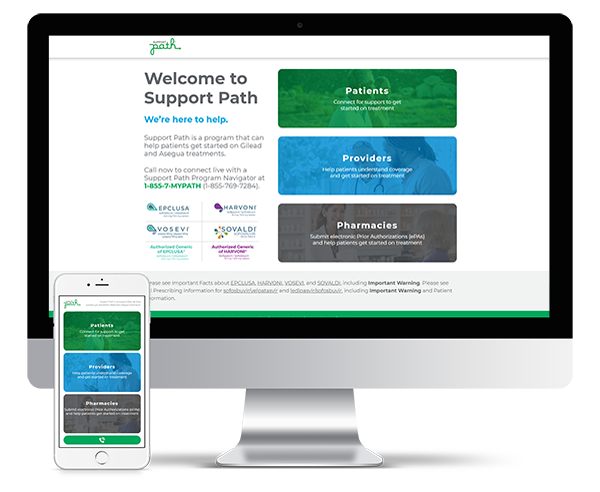 Support Path can help patients understand insurance coverage and financial support options to get started on treatment. Data on file. 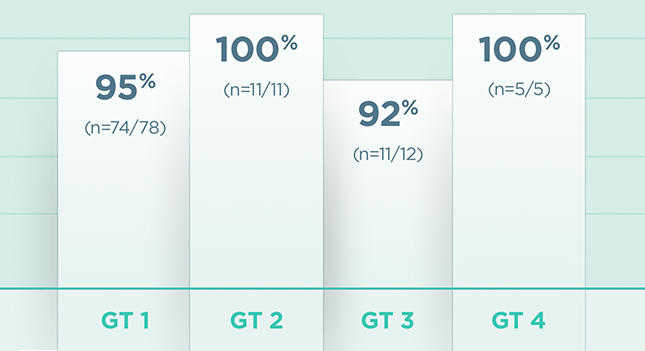 Gilead Hepatitis C Virus Coverage Status Report. August 7, 2018.